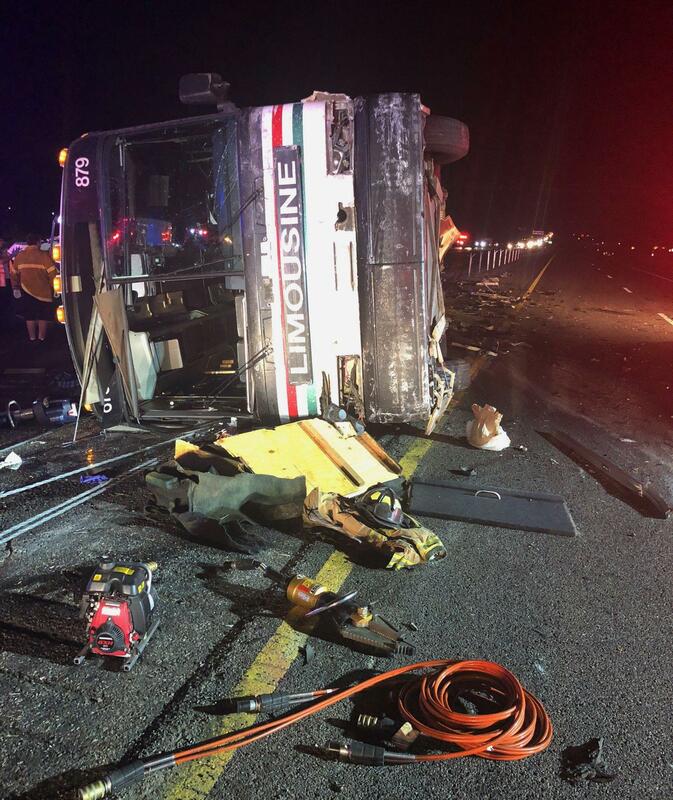 UPDATED: Sun., July 15, 2018, 4:17 p.m.
BERNALILLO, N.M. – A crash involving a commercial passenger bus and three other vehicles on a New Mexico highway early Sunday killed three people and injured 24 others, some critically, authorities said. One of the people killed was in a car that struck a pickup truck from behind around 2 a.m. Sunday on Interstate 25 just north of Bernalillo, about 18 miles north of Albuquerque, Sandoval County Sheriff’s Office spokesman Lt. Keith Elder said. Published: July 15, 2018, 11:54 a.m. Updated: July 15, 2018, 4:17 p.m.